Fort Loudoun Medical Center provides surgical suites for more than 100 procedures. These surgeries include general, gynecologic, ophthalmologic, orthopedic, podiatric, and ear, nose and throat. Orthopedic surgeries in particular are expanding, as well as carpal tunnel, arthroscopic procedures and rotator cuff repairs. In addition to our two operating suites, a third room is available for the surgery department’s expansion. 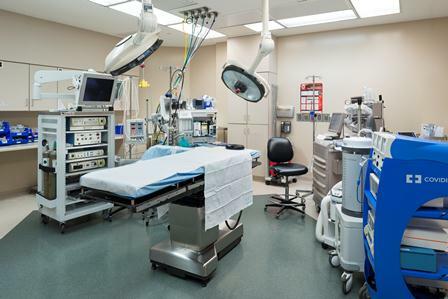 We also have two rooms dedicated to endoscopy and gastrointestinal procedures. Many surgical procedures are done through laparoscopy, with a series of tiny incisions instead of one large cut. This method uses a tiny scope. It results in less pain for the patient, requires less anesthesia, and allows for a speedier recovery. Hernia and hiatal hernia repair. All surgical nurses are certified in advanced cardiac life support. Many also have certification in pediatric life support and specialized professional certifications. For the convenience of our surgical patients and their loved ones, Fort Loudoun Medical Center offers a private family waiting area. Thanks to our superb staff and high-quality facilities, most area residents who need surgery can have it done locally in a comfortable, hometown environment. That goes a long way in creating a peaceful mindset – before and after a procedure.